We all want to remain up-to-date with the latest advancements in our SAP HCM and SAP SuccessFactors ecosphere. Before 2012, we had a long stretch of ‘business as usual’ in the SAP HCM space. With the advent of HR Renewal, SAP’s acquisition of SuccessFactors and the launch of SAP SuccessFactors Managed Payroll, there is new information of interest every single day. 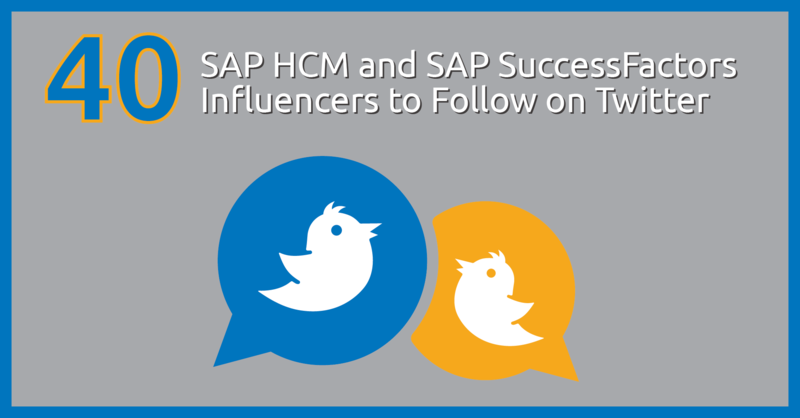 To help you stay in the know, I have compiled a list of my Top 40 favorite SAP HCM and SAP SuccessFactors influencers (in no particular order) to follow on Twitter. I hope you find them as informative as I do! This blog has been cross-posted from http://www.epiuselabs.com/lets-talk-hcm/top40.